Submitted by Shemsu-Heru on 2013-10-07 11:09. 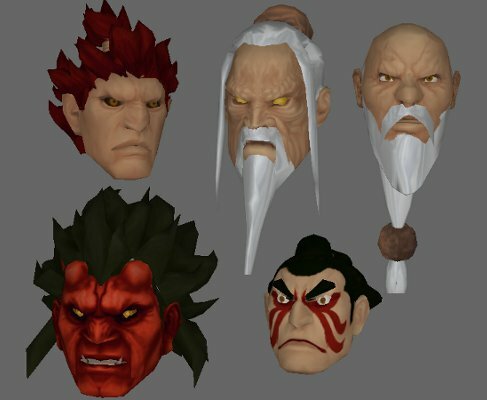 Some heads if not all, come from characters from diferent videogames. 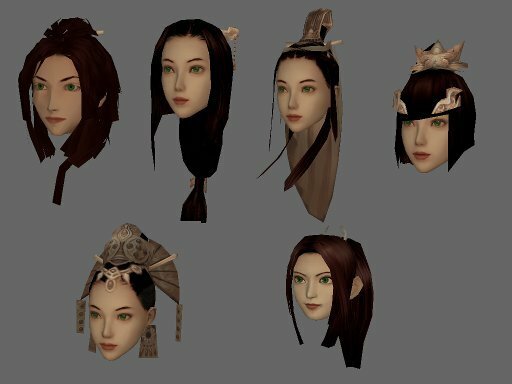 V1.2 Added new Vanara heads for elves; I had made it from models & textures of a Morrowind MOD: "Westly Presents Mang'Chu, The People of the Waters" Link My Thanks to Westly for it. Added too a Nezumi or were-rat mask; I made it from the head of a were-rat model of "Project Q" my Thanks to the people of PQ for it. No new heads, But I have Improved a lot the old ones. 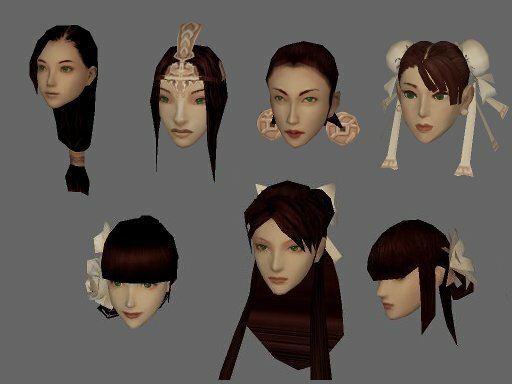 I have optimized the models, fixed Models and textures; Added or improved flexion to most of the heads; Removed or reduced considerably that annoying line which appeared in some heads in the distance. 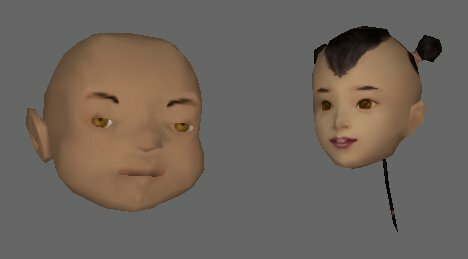 Also, Now all the heads are uncopiled. 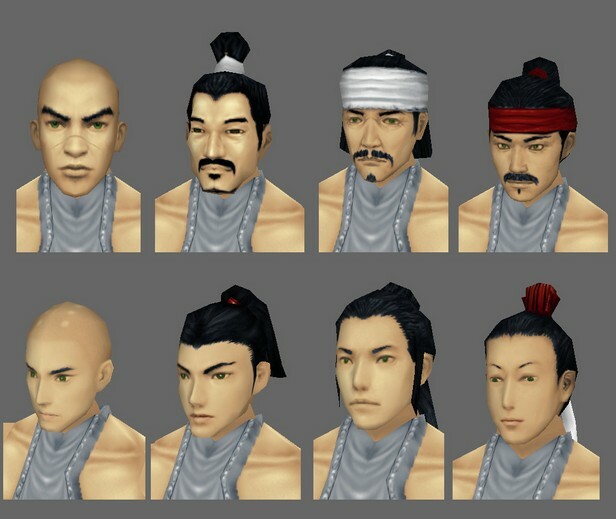 V 2.0 Included, The heads that I had made for the Oriental challenge; Which also have been improved. 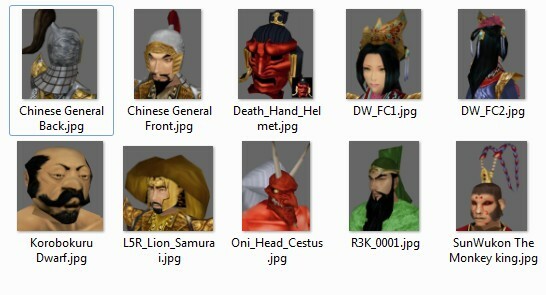 And many new Heads made from free models, from "tf3dm.com" and "artist-3d.com". 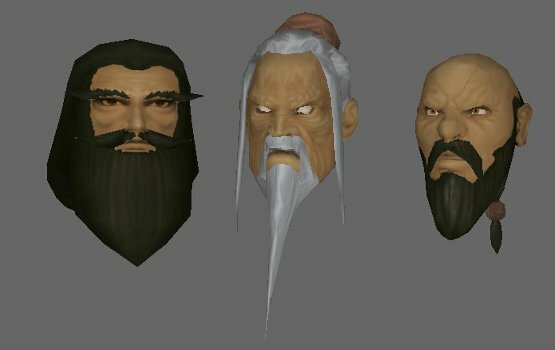 V 2.1 ambient and diffuse changed to 1 1 1 in all of the heads. 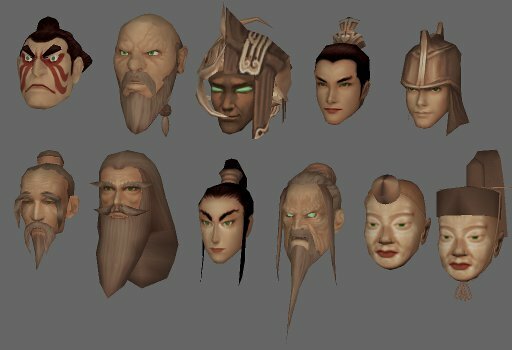 Many of the heads, are made from characters from video games with copyright. So don't use it in a commercial way. Wonderbar! I can use all of them now! Many many thumbs way, way up! Can I post this cross-link to the vault version of 2.0? I appreciate that you went back and fixed the lighting on the ehads as well. Thanks! 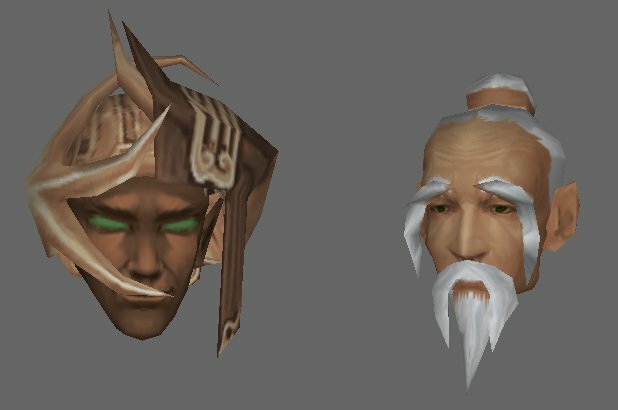 These heads look amazing but I cant seem to get them to work. Ive placed them in the override folder but nothing. Am I supposed to use a specific tool for this or what? 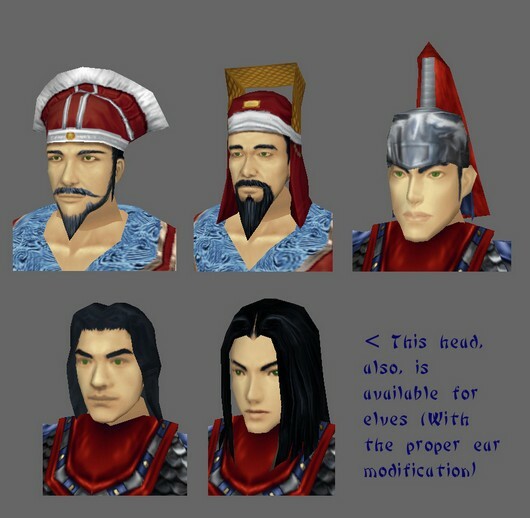 Forgive me for not imidiately responding, I have attempted to install it through the nexus mod installer and the problem seems to derive from "portraits\baseitems.2da" . 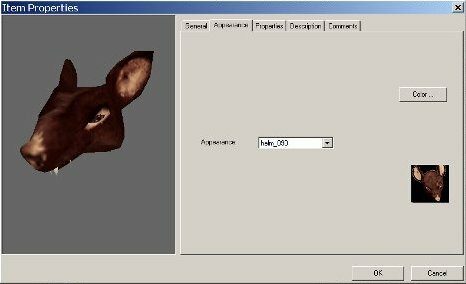 Don't use a tool designeg for skyrim on NWN for starters. Easiest is to have a separate folder with the files and then install files in override. When/if you want to delete them you copy them to override again, overwriting old ones, but they all will be highlighted ;) adn then press delete. There is no way you can work with nested folders with first NWN. I did what I beleived you meant and they still don't show in game. The files are no longer requesting permission. I dont have to tweak the ".ini" files do I? No need to modify .ini. Above post was for managing overrides. Locate override folder in you NWN1 folder. Put all the files in it. 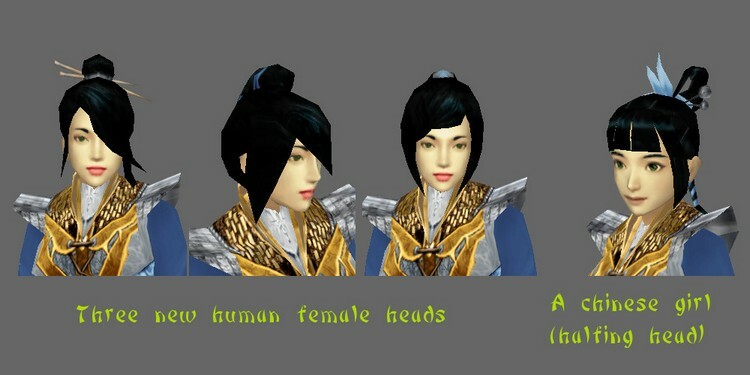 Now when you create new Player Character you should be able to see heads. Remember that depending on race some heads might not work. No extra content is needed. Just place the files in a custom Hak or in your NWN\override folder. Great work. Used many of these in Dark Energy. Thank you. 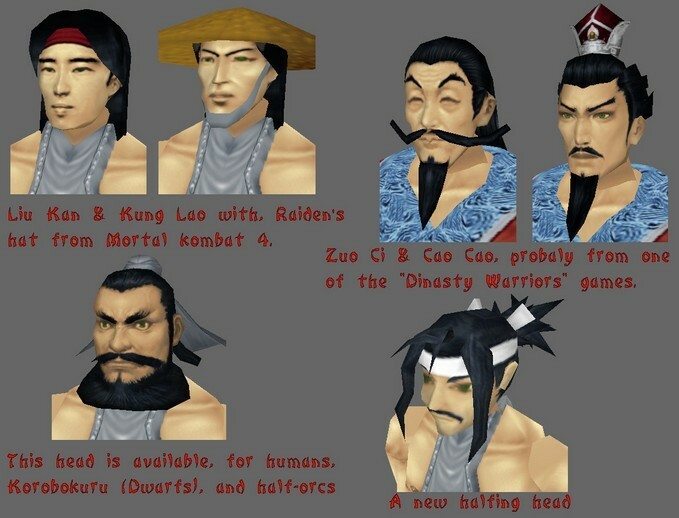 Best asian face pack I've found. Could this mod be ported to Steam Workshop now that Enhanced Edition is out? 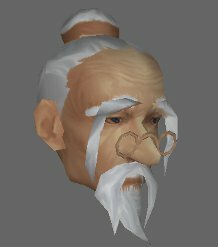 I've placed the files in override but I'm not getting any new faces at all. I even tried the In game character customizer mod and that also doesnt work too.